"If I was an Avenger, Thanos would be dead"
4.5/5: As somebody who didn't have the best middle school experience, I was curious to see how Bo Burnham would tackle such a wide array that comprises typical, yet very real adolescent lifestyles. Each scene is reminiscent of an event that either you can relate to or know others who can relate to, including Burnham's attempts to showcase social anxiety and the pressures of your peers. Even the cliches in the movie need to be there. Another interesting point to make as somebody who is only six years removed of middle schools is you can see the direction kids are heading in these days and the mediums through which they express themselves: it's an evolution from when we were in their position and you can see it as soon as you walk out of the theatre. Watch if: you love amazing acting, you are interested in self-reflection, you want to feel things you haven't felt in years, you want VERY realistic representations of society and of self, you are ready to cry. As somebody who will watch the next Marvel movie without asking questions, I don't really mind when they play it on the safer side or even dedicate parts of their movies to younger viewers. While it isn't always sound with scientific accuracy and drop the word "quantum" a bunch of times, it's still just as entertaining as any of the rest of them. The addition of Evangeline Lily as The Wasp adds another female superhero to the MCU (can't wait for Captain Marvel), which we can always use more of. The plot isn't revolutionary, but it's entertaining enough. The humor is a little awkward but I'm a fan of that style so have caution. Overall, it's on the lower side of Marvel movies but it's safe. I know I liked it more than the average viewer. Don't watch if: you are looking for a fleshed-out villain, you have problems with scientific inaccuracy or techno-babble. Safe isn't always a bad thing. If you've watched Finding Dory and are familiar with Pixar's last 5-8 films and were forced to make a prediction of what Incredibles 2 (another sequel) was going to be like, you would probably be pretty accurate. You have a lot of fun action sequences and fun family-dialogue (super funny) that keeps you engaged the whole time. They were never going to try anything "out there" in order to preserve the original fan base and add in the younger viewers, but my main gripe has to do with the predictability of the film. Overall, no matter your age, it will have been money well spent. 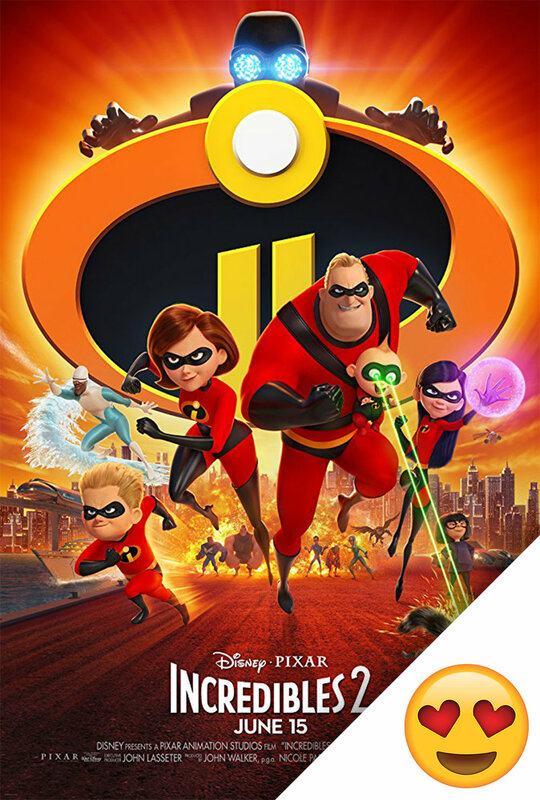 Watch if: you want another fun Pixar sequel, you love Elastigirl, you like animated action sequences, you want a laugh, you really love Pixar shorts (this one is amazing, but is that any surprise). Don't watch if: you hate predictability, you want an engaging villain (Pixar's biggest problem lately), you were looking for Pixar's trademark originality. 3.5/5: Mission: Impossible Fallout was one of those movies where you can either choose to turn your brain off and take in the incredible number of action pieces that are filmed in such an engaging way or invest into a somewhat complicated plot with enough turns that keep the movie interesting but may leave some viewers confused. Don't watch if: you don't like action, you hate predictability (I mean its the sixth one you should know how it go by now), you want standout acting, you don't like Tom Cruise. 3.5/5: For the 19 years I have been alive, I kind of knew that Mamma Mia existed and if I heard Dancing Queen I could be like "Hey that's ABBA", but this was my first experience with this musical and its sequel (the first movie I watched a couple days later). I thoroughly enjoyed the care-free music/dance numbers, especially with the addition of Lily James along with the younger characters who were much more adept at singing than their older counterparts (I like Meryl Streep's singing but it's a contested topic). Combine this spirit-freeing atmosphere with the absolutely gorgeous sights of the Mediterranean and you have 114 minutes of fun coming your way. I wasn't really looking for anything story-related, I just wanted all the pretty people to keep singing around Europe. I'm also a sucker for predecessor story lines. Watch if: you liked the first one, you like musicals, you want something light-hearted, you like pretty things w/ pretty music. Don't watch if: you expected an interesting plot, you have a problem with plot holes, you were looking for Meryl Streep.